Adam Lukas is a multi-faceted composer, producer, arranger and musician, currently living in Vienna. After receiving his Diploma in Composition in 2012, he found his sincere passion in composing music for motion picture. Recent credits include Netflix' Roman Empire II (2018, remote work through Bleeding Fingers Music, LA, formed by Hans Zimmer, Extreme Music and SONY music), and the highly acclaimed Indian war movie URI (2019). His music has been licensed and screened by many major TV stations such as BBC, National Geographic, ZDF, and ORF. Besides music for film, Adam has contributed soundtracks to theatrical plays such as „The Maids“ (Off-Theater 2016, produced by Sabrina Worsch) and furthermore works on his own music for Piano Solo, which is being published by Universal Edition. Go ahead and ask Adam for a tailor made Sample Sound Set, depending on your project’s musical needs! Exhibition in Munich Olypmic Hall - Over 180.000 visitors! Short Feature Film - 30 min. Official Selection @Diagonale. Winner “First Steps Awards” 2018. Music and Arrangements by Adam Lukas. Mockumentary feat. Aleksey Igudesman, Hyung-ki Joo. Featuring Mischa Maisky, Julian Rachlin, Itamar Golan, Janine Jansen and many more… Recording Engineer and Producer. Theatrical Play by Jean Genet. Directed and produced by Sabrina Worsch. Feature Documentary, 80 min. The Groove Of A Mega City. Interview with Adam Lukas and Behind The Scenes footage of the recording sessions for URI: The Surgical Strike. URI: The Surgical Strike out now in cinemas all over the world! Coming in 2019 - Follow the Facebook Page for Updates! Oscar qualifying Short Film by Adi Wojaczek. Music by Adam Lukas. A film about a mother fighting for her son, who is a victim of Cyberbullying. Feature Film by Götz Raimund. Starring René Rebeitz, Heinz Arthur Boltuch, Sabrina Worsch. Music by Adam Lukas and Michael Richter. The development of a new drug aims to bring out ones full potential but ends up tearing apart the lives of all intertwined individuals. Score will be published soon. Watch trailer with Adam’s music below! Feature Documentary by Atef Ben Bouzid. 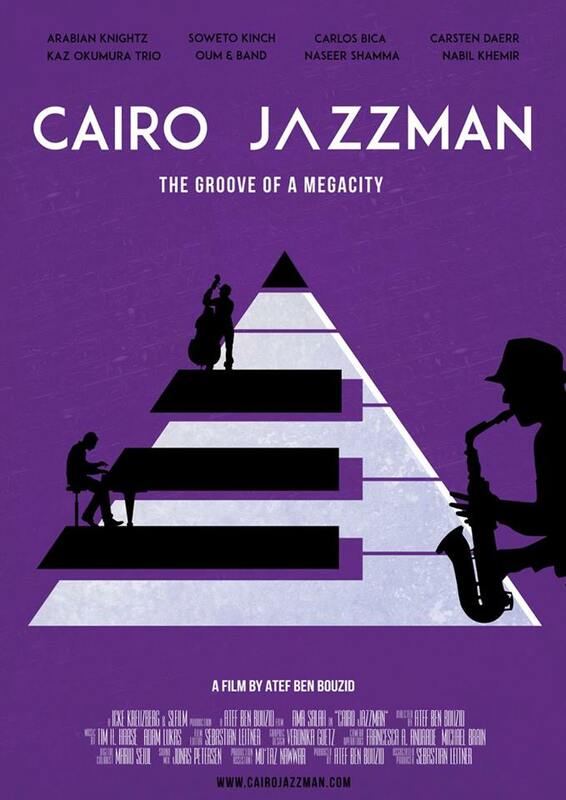 The engaging story of the Cairo Jazz Festival and a portrait of its founder Amr Salah. Dedicated to the Egyptian civil society. A music documentary.